The rain is back and the kittens don't care...they want out. Then, every few minutes, one is running up to the patio door, scratching on it with their nails (imagine the sound of fingernails on a chalkboard) wanting to come in. We have a towel sitting by the door so I can wipe the mud off their feet and dry them. Amazingly enough, each one will voluntarily walk onto the towel and wait for me. "Play time, Mommy!!!" Then the process begins all over again a few minutes later. This was rather annoying, especially since I was working on my Midterm exam for Art History. I finished it with 5 minutes to spare and got an 88 out of 100. The ones I missed - dumb mistakes. My brain is mush, drained. Much the same way I felt when I finished reading "The Book Thief" (you like the segue - nudge, nudge, wink, wink) And now a word about Books. Interesting read, "The Book Thief" seeing how it was narrated by Death. There is a sci fi/fantasy book I read years ago and will be rereading it soon "On a Pale Horse" by Piers Anthony. The main character ends up killing Death and has to assume his position. You don't find too many books narrated by Death or someone playing the incarnation of death. Rather interesting perspective. If you were in Liesel's place, (given than you've read the book) would you be a book thief? Once I finished the book, I had to read something easy so opted to reread "So Long, And Thanks For All The Fish" by Douglas Adams. I have an old 1984 version of the book and it is book 4 in the Hitchhiker's Guide to the Galaxy series. In the story, Arthur Dent returns to earth, which he thought had been destroyed 8 years before, and found, according to earth time, he had only been gone 6 months. He enters into a romance with Fenchurch. They go off to search for God's final message which was essentially rather silly. Now I'm reading "The House of Dies Drear" by Virginia Hamilton which is part of the Dewey's Books Reading Challenge. Interesting story about a 13 year old boy and his family who move into a home in Ohio that was used as an underground railroad station . Dies Drear, the former owner of the home and two runaway slaves were murdered in the home and may be haunting the home. For the Barnes and Noble First Look Book program, we are talking about "Sag Harbor" by Colson Whitehead. Mr. Whitehead will be joining in on the discussions this coming week. This week we are discussing the first few chapters of the book and have had some discussions about how racial barriers have changed in the past twenty years, friendships, and slang we used during the 80's. First time I've been involved in an online book club / discussion group and finding it rather educational. Musing Mondays was about reading non blogging book reviews. Monday I also discussed my writing goals and coincidently Kate from The Lovers, The Dreamer and Me decided to host a weekly event called Work In Progress Wednesdays in which you post an update on where you are with your current work in progress. Kate says "As for what exactly counts as a Work in Progress, I am giving that a broad definition. Whether you are on your first draft or twentieth, in the process of querying agents, or are just between projects trying to decide what direction you want to go in next - feel free to share." 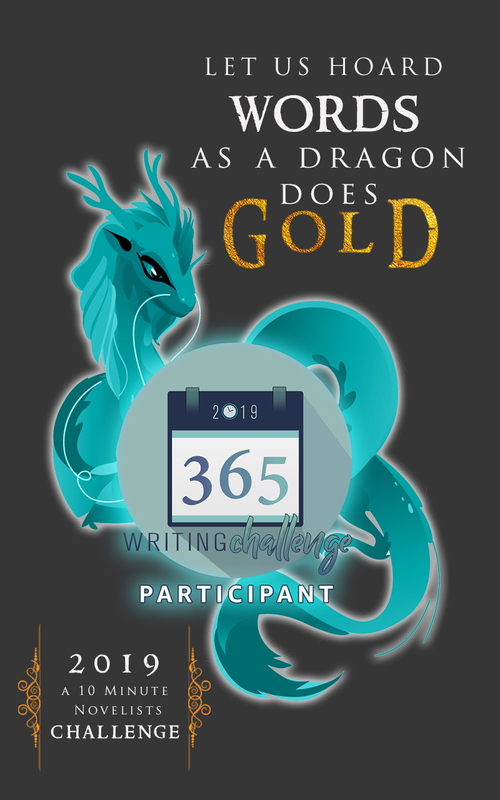 I decided to join in order to hold myself accountable to my writing goals. Tuesday Teasers hosted by MizB at Should Be Reading had some great teasers and I added a few books to my wishlist. Wednesday I finished and reviewed "Hercule Poirot's Christmas" and "A Ghost in the Machine" which completed the list of books I planned on reading for my Winter Reading Challenge. 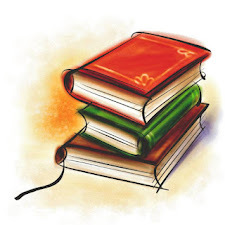 Come check out the reviews and see what everyone has been reading. Booking through Thursday was all about how you organize your books. I've only read about 1/8 of the 129 responses. Eventually I'll find time to wonder round to a few more before next thursday. Friday I joined the Agatha Christie reading challenge hosted by Kerrie of Mysteries in Paradise. There is a monthly carnival that takes place on or around the 20th of each month. The February carnival is up and running - come check out what everyone has been reading. Friday was our homeschool weekly wrap up and the big pack meeting of the year - The Blue and Gold Dinner. for Faith N' Fiction Saturdays hosted by Amy at My Friend Amy's, we discussed "how do you feel about biblical fiction. I discovered a few new authors to check out. Are you still with me? As a present, here are a few interesting conversations to check out. Darcy of Life with my three boybarians asks what are you going to do with the $13 Obama's big plan saves us each week. Amy of My Friend Amy discusses her theory on the best selling nature of James Patterson Books. The weekly geeks is all about interviewing your favorite character from a novel. Check out some of the creative imaginations of the participants. For the question of the day we travel back to the 1980's: What was your favorite book? I loved On a Pale Horse and that whole series in middle school. I usually skipped the s*x scenes though! I love anything by Douglas Adams, always a fun read:) I haven't read On a pale horse by Piers Anthony, but I read thru several of his Xanth novels during my teen years. My fav 80's book? During my 9th gr year I read Mara Daughter of the Nile through once per week for the entire school year. Thanks for stopping by my blog! I read On a Pale Horse in high school and I really loved it. I think I read a few other books in the series as well. It's finny to see you mention this here because I have been thinking about revisiting it to see how it stands up. I LOVED The Book Thief and count is as one of my all time favorite books. I hadn't heard of the Agatha Christie reading challenge. I'll have to go and sign up as I've a personal goal to read everything that she has written. Sounds like you had a great week of reading!